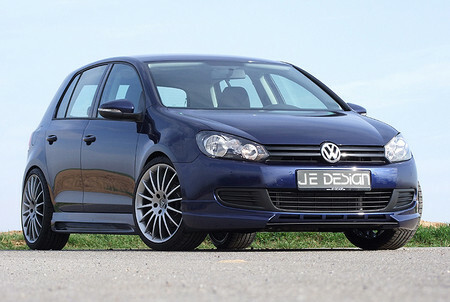 VW specialists from JE Design has came up with a new dress for the Golf VI. It includes a body kit and also performance upgrade, details of which to be announced later. It also comes with very fine leather upholstery for the interior. The body kit consists of revised front and rear bumpers, carbon fiber spoiler lip, side skirts, new diffuser and new tailpipes along with a carbon rear spoiler. And finally, a set of coilover suspension which drops the car by a few inches, perfects the effect of the kit.